Two leading international equine charities have met with high-level leaders at this week’s United Nations General Assembly to highlight the vital contribution of working horses, donkeys and mules in achieving UN Sustainable Development Goals (SDGs). The Donkey Sanctuary and World Horse Welfare held meetings with member states, UN Departments and other civil society partners to establish a core team of UN Member States, networks and organisations to help champion the importance of equines to the livelihoods of 600 million people worldwide and the need to provide better support for their health and welfare. World Horse Welfare CEO Roly Owers and The Donkey Sanctuary CEO Mike Baker outside UN Headquarters in New York this week. The Donkey Sanctuary CEO Mike Baker said being part of the SDG plan was an exciting development in the charity’s UN engagement. “This is a crucial time and a fantastic opportunity for us. It is only recently the UN General Assembly for the first time agreed language on the need to protect working animals which was a fantastic step forward. 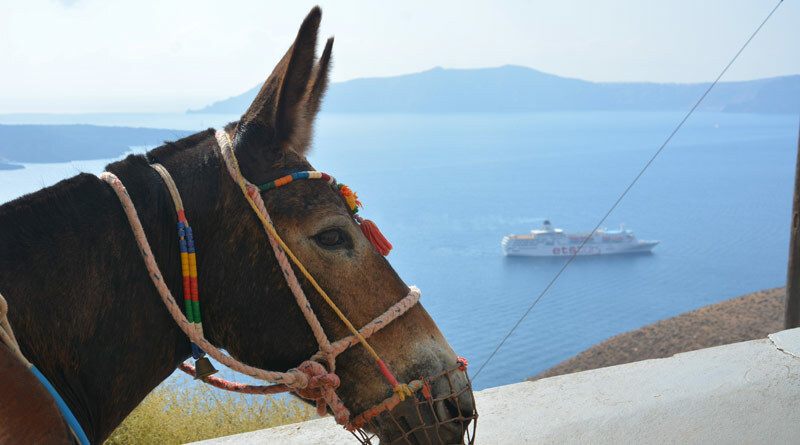 “Now we have to persuade them to turn words into action and we will work tirelessly to ensure donkeys, mules and horses everywhere have their voices heard as we work with our partners to make this a reality,” Baker said. During a lunch hosted by the International Fund for Agricultural Development at the UN headquarters in New York, Baker and Owers greeted guests from across the UN, Africa and civil society organisations Others at the lunch included UNDESA, UN diplomats from Senegal, Kenya, Nigeria, and Egypt, plus representatives from the UN Food and Agriculture Cluster, the Tellus Institute, the Stakeholder Forum, Thinking Animals United and CIVICUS. Baker said The Donkey Sanctuary and World Horse Welfare shared a passion to ensure as many working donkeys, horses and mules as possible get the care and welfare they need. “We deliver that ourselves every day to thousands of equids but across the world there are many millions who need more protection. We cannot do this alone. We need to persuade others that this is something they should do and moreover it is in their interest to do. What was striking in our meetings at the UN was whilst people agreed with us they had not really considered the issue previously and wanted to learn more,” Baker said.